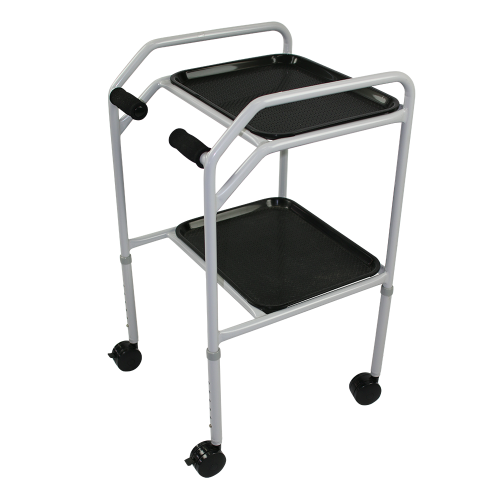 Height adjustable mobile kitchen trolley. Two removable white plastic trays with lips on each side. Four swivel castor's, two are lockable.